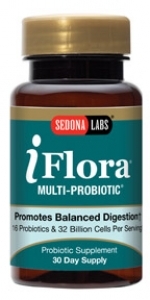 Bifidobacterium lactis HN019 is a probiotic that you may find in some probiotic foods and supplements. Its true name is Bifidobacterium animalis subsp. lactis strain HN019. For more details about the nomenclature and properties of the species, see this page. Like other Bifidobacterium, it is a Gram-positive, non-motile, non-sporulating lactic acid bacteria, meaning it Gram stains positive, cannot move about on its own, does not produce spores and produces lactic acid as one of its fermentation products. It is a strain of bacteria that has many names such as B. lactis HN019, B. lactis DR10, HOWARU Bifido, Bifido DR10 or just DR10. Manufacturers can name their products whatever they want to. In this case, the HOWARU Bifido name is a Danisco company-trademarked name used as a clever marketing strategy. 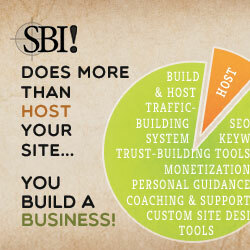 Sometimes the same strain is registered in different strain banks. Sometimes the rights to use the strain are extended to others from the original discoverers as long as the name is changed. Sometimes as the strain undergoes further scrutiny, it is found that it really needs to be called something else. 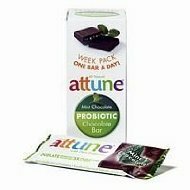 What is the Probiotic Potential of B. lactis HN019? 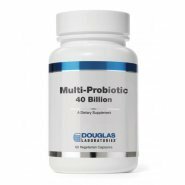 I plan on publishing more information on the specifics of the probiotic B. lactis HN019 strain, including details of what studies have shown, in "The B. lactis HN019 Guide." Where to Find Bifidobacterium lactis HN019? 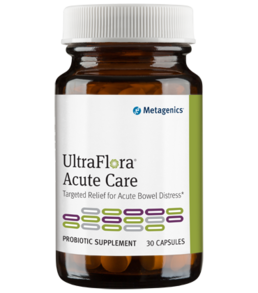 Metagenics UltraFlora Acute Care, a professional brand from my online dispensary in which you can find other quality supplements. Return to B. animalis page.